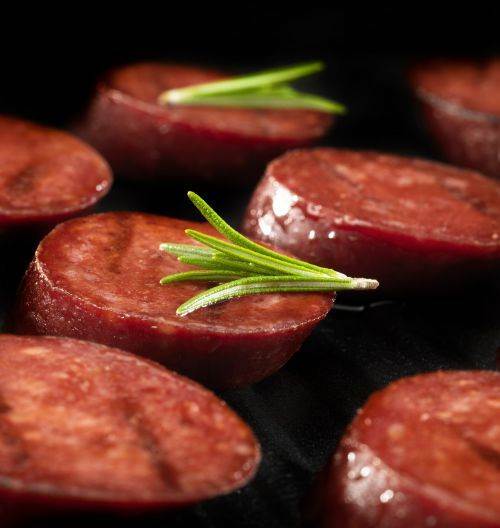 The rich, spicy, sweet and smoked taste of our andouille sausage cant be beat. I Garontee. This sausage will enhance the flavor of any dish. A primarily southern style sausage andouille sausage complements Cajun cuisine very well. Slice it thin and put in spaghetti sauce, beans and rice or gumbo. Great in pasta dishes, stuffing and dressings. We grill them and put them in a bun like a bratwurst. Andouille sausage is made from coarse ground lean pork, fully cooked and hickory smoked in tender natural casings. This smoked sausage has a wonderful balance of spice, smoky and sweet flavors that anyone will be proud of. 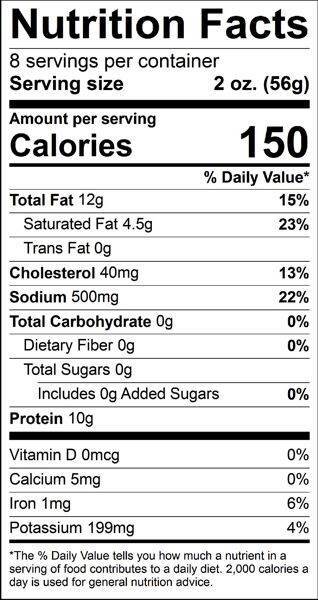 Ingredients: Pork, water, salt, spices, maple sugar, sugar, onion powder, sodium nitrite, natural casing. This was my first time having this sausage and it was good. I usually get Polish sausage or Bratwurst but this was tasty as well. Your delicious package arrived the other week, and we're so happy to have good andouille again. The Johnsonville just want cutting it. As a celebration, I made the first decent gumbo we've had since we moved to the Gulf. The andouille was the star! Hi Dave! Hope all is well - looking forward to getting our sausage and cheese! Your sausage goes so well in Gumbo, redbeans and rice, and jumbalaya - am able to make all my cajun dishes while we are away. Service Area: Mauston, Baraboo, Sparta, Reedsburg, Wisconsin Dells, Nekoosa, Viroqua, Lodi, Montello, Wautoma, Cross Plains and surrounding communities. 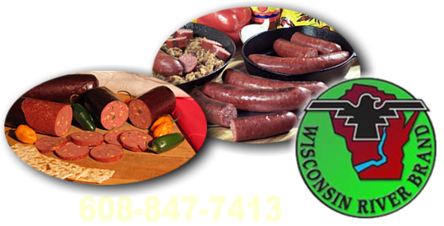 Page Summary: Wisconsin River Meats offers andouille, smoked sausage, pork sausage, andouille sausage, spicy sausage, jambalaya sausage, cajun sausage throughout Wisconsin, including Milwaukee, Madison, Green Bay, Kenosha, Racine, Appleton, Waukesha, Eau Claire, Oshkosh, Janesville and surrounding WI communities.